This high-quality 3-piece Gourmet Griddle & Grill Pan with Grill Press set features a large 12″ x 12″ cooking area coated with ETERNA®, the world’s longest-lasting nonstick for fast and easy cleanup. Constructed for lasting durability; the griddle and grill pan feature a stainless steel disk base in the bottom of the heavy-gauge cast aluminum providing excellent heat distribution, maximum anti-warping protection and suitability for all heat sources: induction, gas, electric, ceramic and halogen. Designed for comfort and safety; the stay-cool, stailess steel grooved handles provide secure and safe handling, preventing the pan from turning in you hand. Mindful of living healthy; the grill pan features deep grooves to channel fats and grease away fro food. 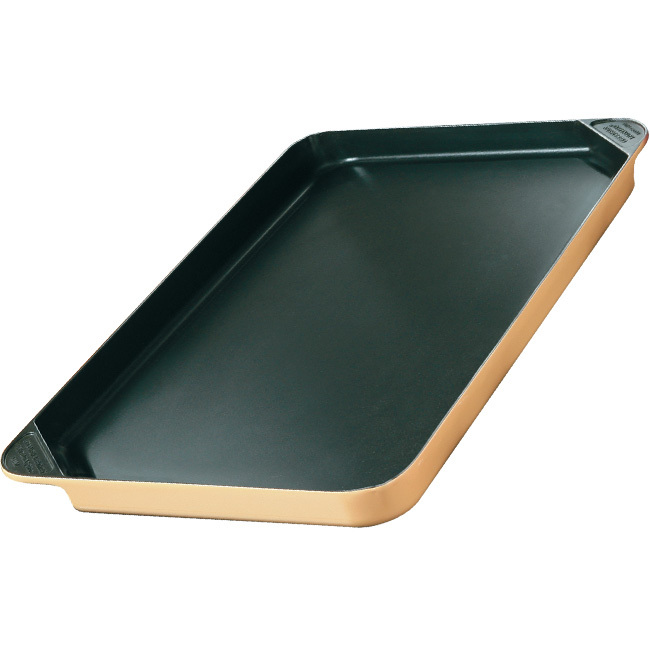 Each side of the pan has a drain lip allowing excess grease and fats to be poured off easily. 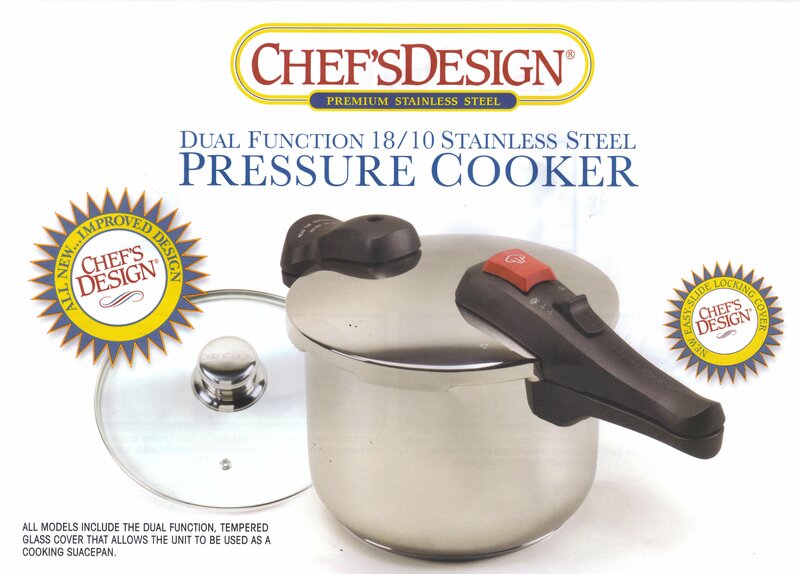 Versatility and durability are signatures of The Essential 3-Piece Cookware Set from Chef’sDesign®. 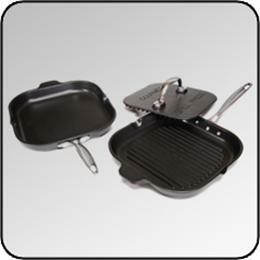 Griddle, Grill Pan Press Set: Versatility and durability are signatures of the Model 2123 Essential 3-Piece Cookware Set! 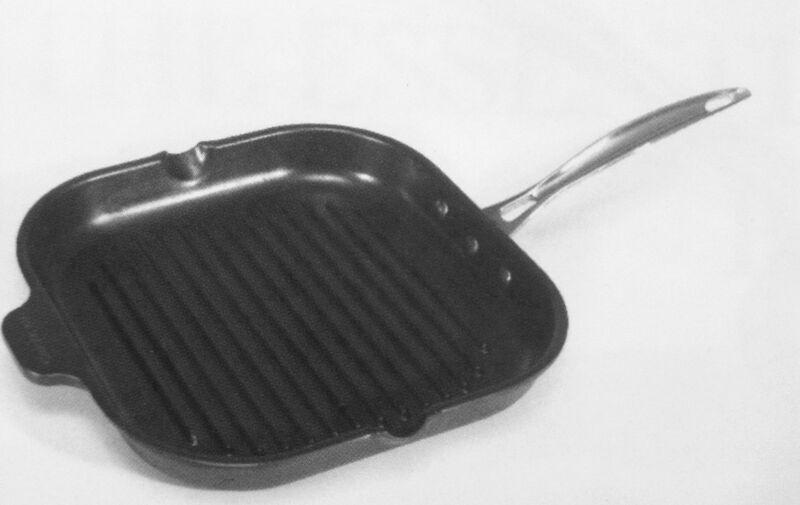 Griddle, Grill Pan Grill Press set, Model 2123, the perfect cookware set for smaller meals. The grill along with the grill press is perfect for making pannini sandwiches or use the griddle for excellent grilled cheese and so much more. Become the gourmet chef for your friends and family. 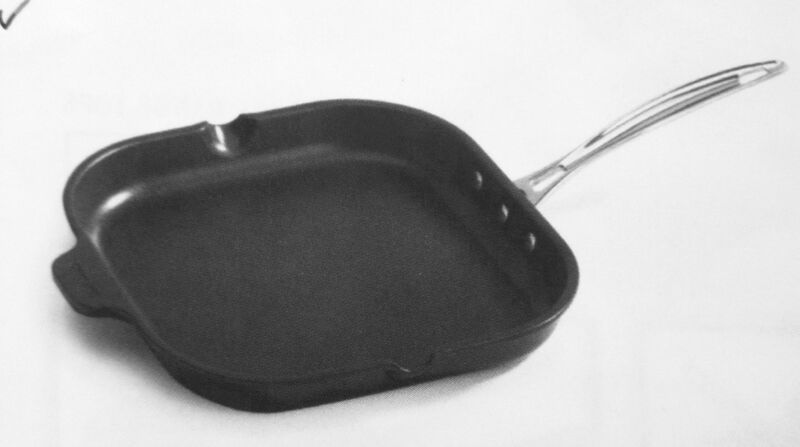 Griddle, Grill Pan Press Set by Chef’sDesign® possibly the best set you will ever own. 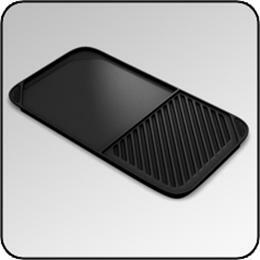 Griddle, Grill Pan, Grill Press Set Designed for comfort and safety. Safe for all heat sources; induction, gas, electric, ceramic, and halogen. 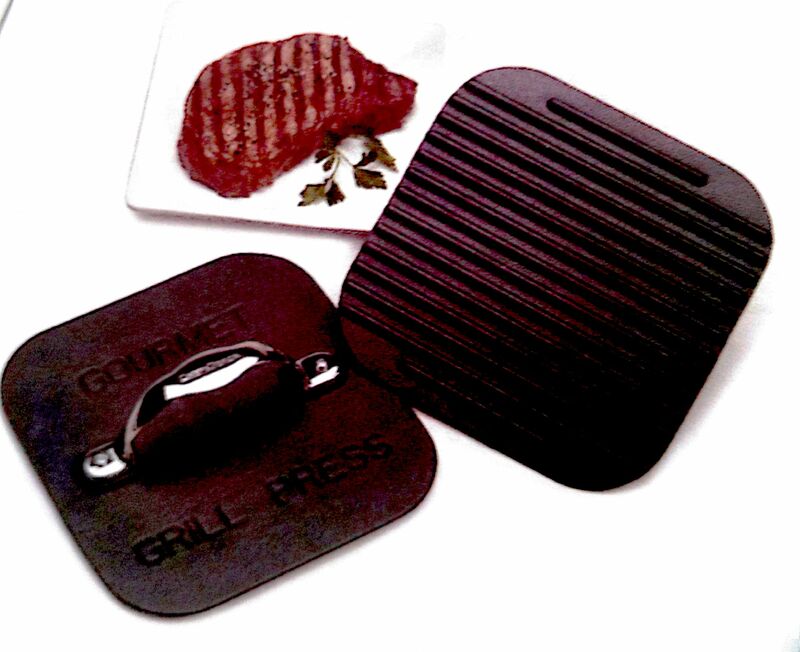 Be the first to review “Griddle, Grill Pan, Grill Press Set” Click here to cancel reply.